Italian multi-instrumentalist and deep house expressionist Giorgia Angiuli has unveiled the video for 'Nothing To Lose'. 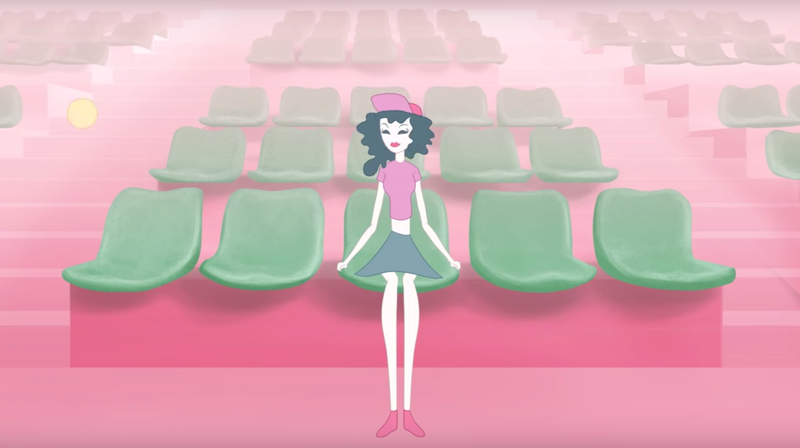 Lifted from her recently-released debut album, 'In A Pink Bubble', the track's video was directed and edited by Jamaica De Marco, and features animation from Federico Vandin, Giada Giammona and Mara Di Paolo, as well as character and layout design by Federica Fusi. According to the press release, the video "draws influence from Giorgia’s perception of how life events are intertwined with music and artistic expression." You can watch it below. Angiuli said, “I wanted to create an animated video in the style of the cartoons, with one closer to my artistic expression. In this video we see the intimate journey of the two characters, while the track ‘Nothing To Lose’ pushes them not to be scared of their emotions and let go". Revisit our recent premiere of Angiuli's 'Behind The Walls'. Step inside the producer's weird and wonderful live show here.